Tell him how much he means to you. Father’s Day cards for the special man in your life. For when he needs to take a note. 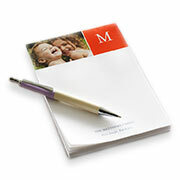 An assortment of stylish notepads just for him. Because he'll want to express his gratitude with style. Find thank you cards for him. 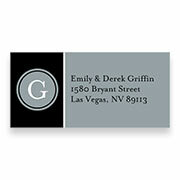 Our personalized address labels address his envelopes in style. Find address labels for him. Father's Day should be something we celebrate every day, but since it only comes once a year, be sure to give the father in your life something that is personal and heartfelt. Take some time to express how much you love and appreciate your father or father-in-law for how much they’ve cared for you, or show your husband what a great dad he is to your children. One way to show how much you care is to design a custom Father's Day greeting card to share your sentiments in a way that store bought cards can't. You can upload cherished family photos or images he loves, and write your own message too. If you're stuck for the right words, our Father's Day quotes and wishes are a great place to start. 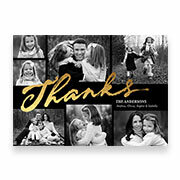 Making your own greeting cards isn’t hard when you create them with Shutterfly. Our personalization process is simple and convenient to ensure maximum happiness. We also make it easy to customize meaningful, useful Father’s Day gifts. Some of our most popular products can help him jot down notes, keep up with personal correspondence, or maintain a regular journaling habit. These thoughtful gifts will remind him of you each time you use it. We have many types of designs ranging from classic, clean, and masculine to modern, sleek, and bright. We make it quick and easy to turn all the photos you love into unique gifts and home decor. In addition to stationery and paper products, you might be interested in creating a photo mug to freshen up his morning cup of coffee or an iPhone case to protect his phone on the go. 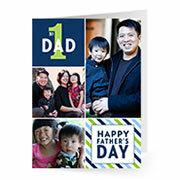 No matter your budget, Shutterfly makes it convenient, easy, and affordable to design Father's Day gifts he'll cherish. Stop by our special offers page to explore our promo codes.